Skin Illustrator Make-Up pallets, Liquids & Glazing Gels, Telesis & Super Solve, Dirt Works Powders & Spray's, Fleets Street Blood Works and more. the perfect tool for coloring silicone prosthetics. With the carefully selected colors in this palette you are able to match almost any etnic skintone. the perfect tool for coloring silicone prosthetics. 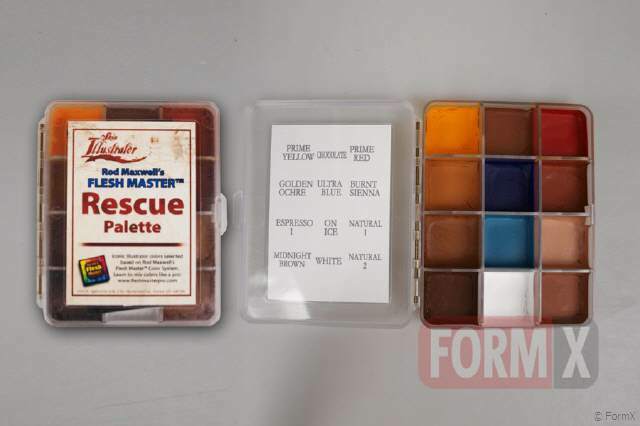 With the carefully selected colors in this palette you are able to recreate almost any illness. 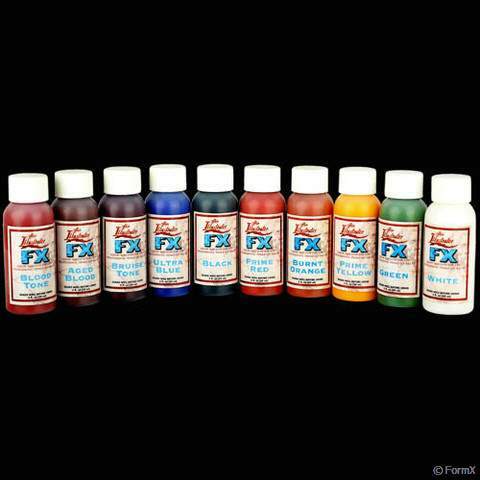 the little brother of our "FormX Effects" Skin Illustrator Palette. If you need a ultra-compact on set palette to do quick trauma make-up. a collection of water based transparent colors which allow you to do bruise and injury work directly onto the skin. A collection of water based transparent colors which allow you to do bruise and injury work directly onto the skin. Designed for extreme close-up work. From a collection of water based transparent colors which allow you to do bruise and injury work directly onto the skin. Designed for extreme close-up work. Silicone-based prosthetic adhesive with superior qualities and adhesion. FormX now offers: An Evolution of the Telesis 5 this adhesive is a complete new and improved system consisting of Telesis 8 adhesive, Telesis 8 Modifier and Telesis 8 Remover. We're the first in mainland Europe to offer these adhesives and are fully stocked! The best remover voor many make-upmaterials and skin-glues. Is also the only really good remover for Pros-Aide. Bottle 225 ml. The best remover voor many make-upmaterials and skin-glues. Is also the only really good remover for Pros-Aide. In gel-form so it will not drip in the eyes. Bottle 120 ml. 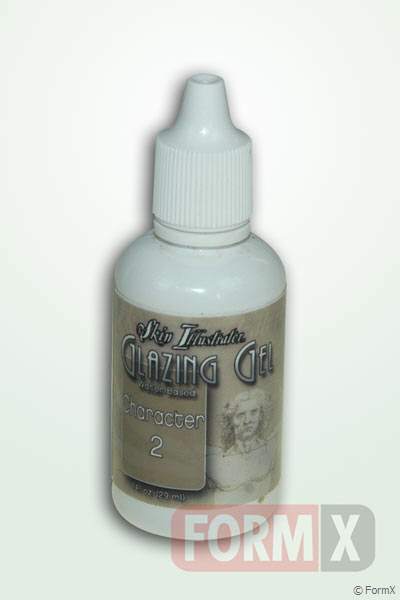 The best remover voor many make-upmaterials and skin-glues. Is also the only really good remover for Pros-Aide. Bottle 472 ml. 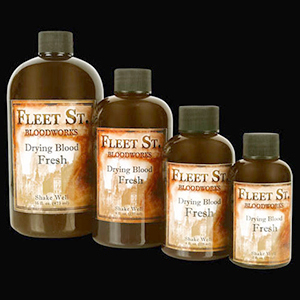 Fleet Street Bloodworks - the most unique theatrical blood on the market. Made from FDA approved pigments, Fleet Street Drying Blood stay moist looking, even when dry. Designed for use on both skin and hair, they stay where they're placed, without migrating or dissipating as the day wears on. Made from FDA approved pigments, Fleet Street Drying Bloods are designed for use on both skin and hair. Made from FDA approved pigments. Fleet Street Drying Bloods are designed for use on both skin and hair. Made from FDA approved pigments. A new addition to the fleet street Bloodworks line, Blood Pastes add dimension to the liquid Bloodworks products. Blood pastes stay in place when applied and become dry to the touch. 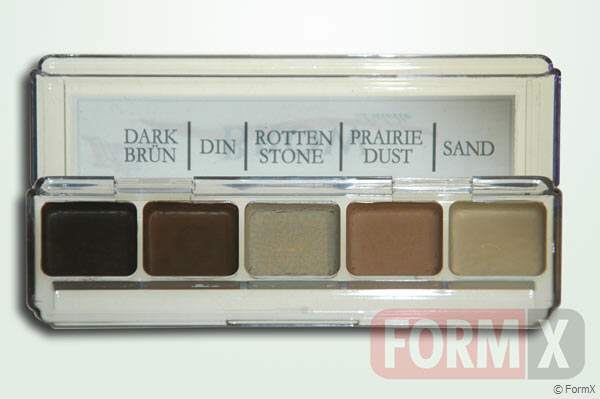 DIRTWORKS POWDERS are a coordinated system of colored dirts that are matched to the Skin Illustrator Grunge Palette. DIRTWORKS POWDERS are the safest dirt on the market, as they do not contain any hazardous ingredients such as talc, silica or walnut shells. Use alone or with the Dirtworks Grime Sprays to create a variety of "dirty" makeups. 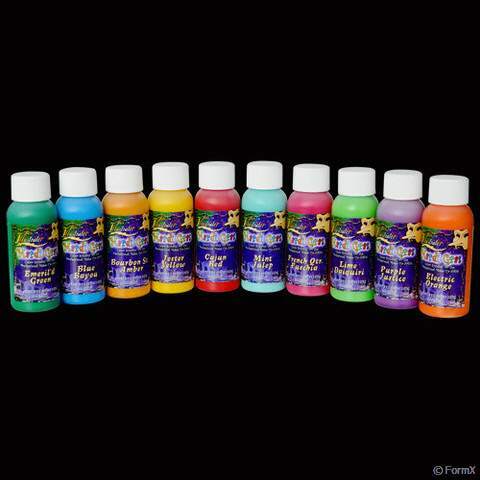 They also blend well with all the Skin Illustrator Palettes and Liquids, Glazing Gels and Glazing Sprays. The DIRTWORKS POWDERS are best applied when using the Dirtworks Dirt Bag. Use Dirtworks Dirt-Tac when only a powdered look is required. Dirt-Tac also helps hold the powders in place. DIRTWORKS DIRT-TAC is a clear gel made to be used with the Dirtworks Dirt Bag when only a powdered look is required. DIRT-TAC also helps hold the powders in place. DIRTWORKS DIRT BAG is to be used with Dirtworks Powders and Dirtworks Dirt-Tac. It is the perfect vehicle for applying the powders. DIRTWORKS GRIME SPRAYS are a coordinated system of colored dirt sprays that are matched to the Skin Illustrator Grunge Palette. Use alone or with the Dirtworks Grime Powders to create a variety of "dirty" makeups. 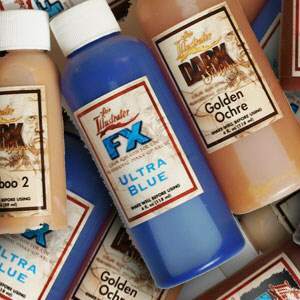 They also blend well with all the Skin Illustrator Palettes and Liquids, Glazing Gels and Glazing Sprays.